Mousehole and the artists paradise of Lamorna Cove – but only just down the road from Penzance. Castallack is off the beaten track yet easily accessible and ideally situated for exploring South West Cornwall, including: Penzance, St Ives and the ‘Lands End Peninsula’. 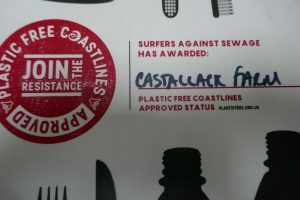 We are awarded ‘Plastic Free’ status because of our work to cut out single use plastics in our business.